After the failed attempt to conquer Shadespire, the Katophranes banished the Briar Queen and her army to the dark dungeons of Nightvault. Countless years of suffering later, the Great Necromancer chose them as his warriors, giving them their ghostly forms, cruel weapons, and the memories of every hateful minute of agony. The first Nighthaunt warband in the Mirrored City is a challenge not only for the enemy. Their filigree figure must also be packed very carefully. 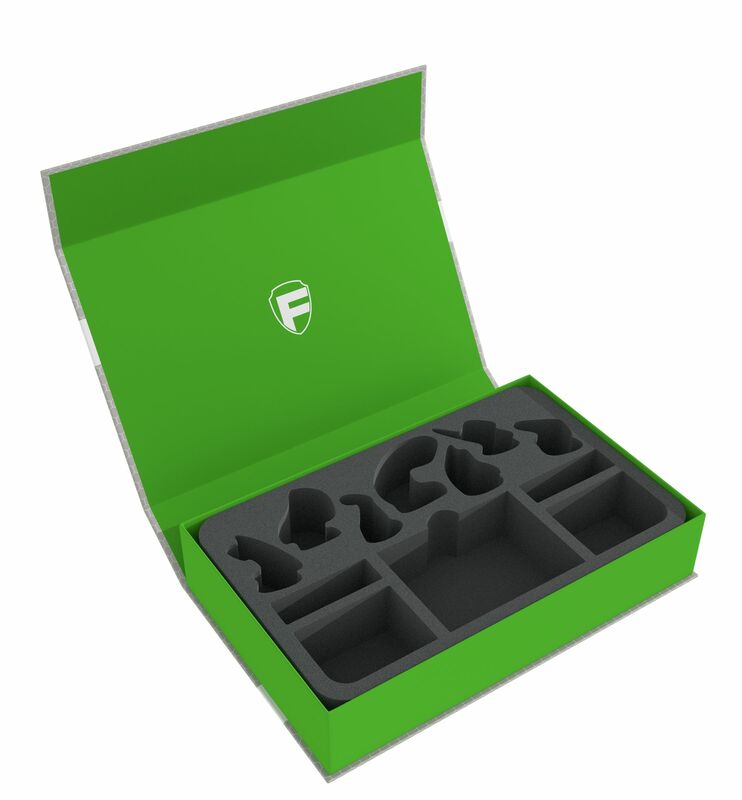 Lucky for you that you can master this task with our green Magnetic Box including the suitable foam tray. 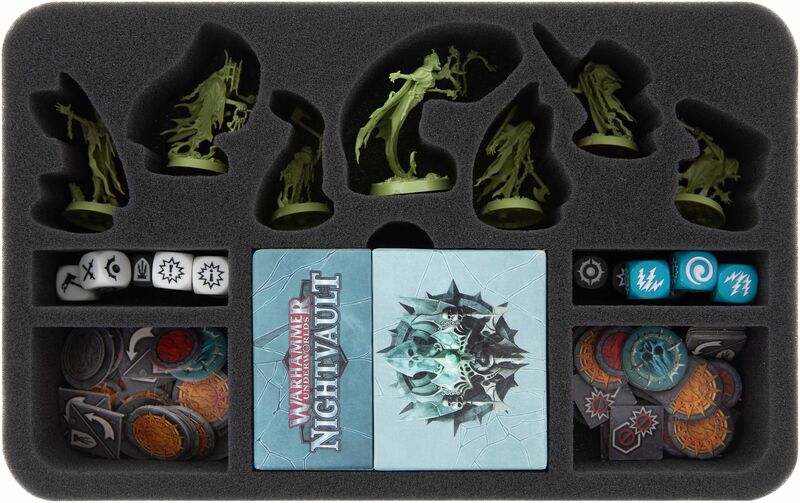 A total of 12 compartments on this mat provide order and protection for miniatures and game material. The Briar Queen and her following, consisting of The Ever-Hanged, Varclav the Cruel, and the 4 nameless Chainrasps, are all allocated individually tailored compartments. 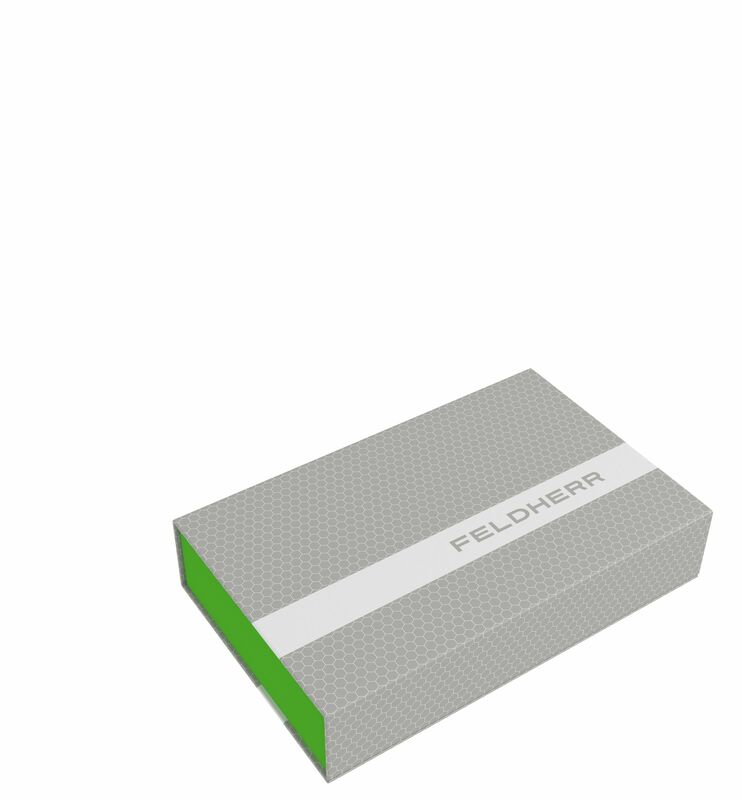 Embedded in soft foam, the finely detailed models are optimally protected against damage even during transport. Flaked or scratched acrylic paints also belong to the torments of the past. One further compartment underneath the miniatures is reserved for the objective, power and character cards. 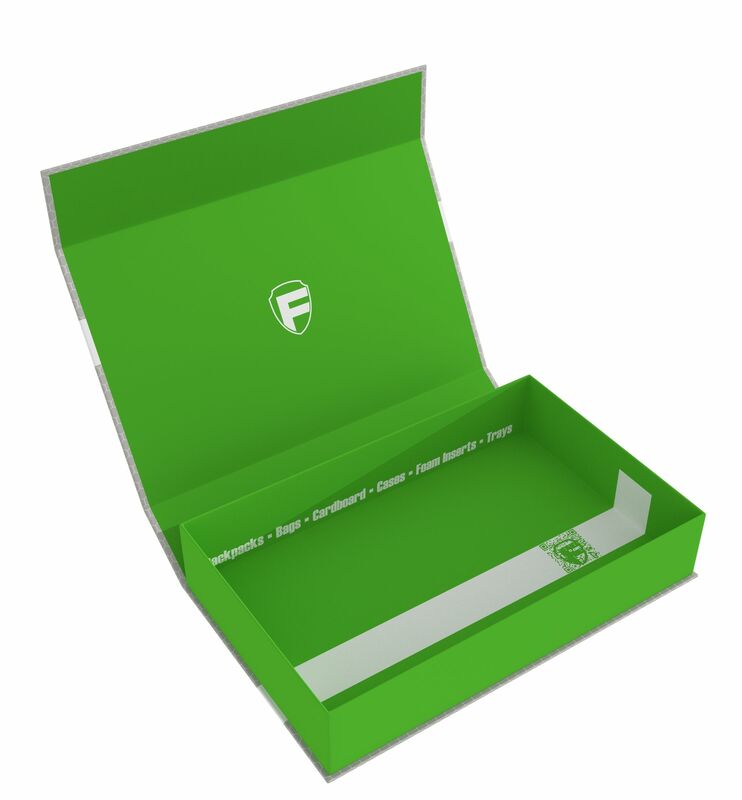 It is equipped with a finger-wide cut-out to make it easier for you to get them out. Up to 40 cards can fit in here, of course also with sleeves. 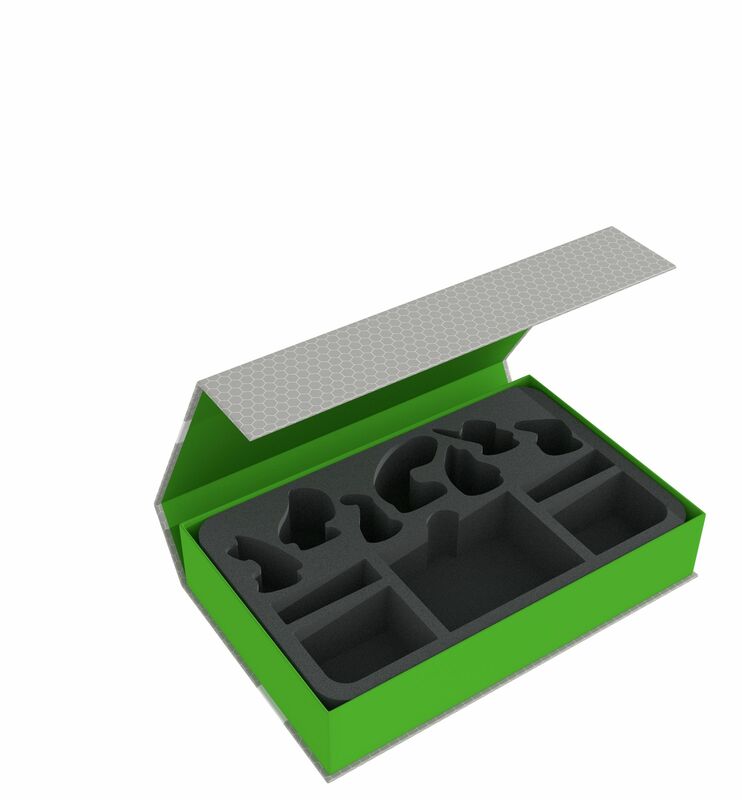 Dice and tokens can be sorted into the remaining four compartments. Thereby, everything is neatly and safely stowed away. With the matching foam topper, your undead warriors are securely packed all around and always ready for the next battle.